The Supreme Court decision in Star Athletica L. L. C. v. Varsity Brands, Inc., No. 15-866 was announced today and the fashion industry can breathe a huge sigh of relief. In fact, the industry, especially accessory businesses, would be justified in popping open the Champagne. Not only did the Court uphold the Sixth Circuit’s judgment that the designs of the cheerleading uniforms were separable, it greatly simplified and expanded the two- and three-dimensional features of useful articles that can qualify for copyright protection. The opinion holds that the design of a useful article is eligible for copyright protection if the feature can be perceived as a copyrightable two or three-dimensional pictorial, graphic or sculptural design separate from the useful article, on its own or in some other tangible medium, if it can be “imagined” separately from the useful article. Physical separability is not required. The analysis of separability under the statute is a purely conceptual undertaking. Conceptual separability does not require that the remaining part of the useful article, apart from the two and three dimensional design, be either fully functional or even equally useful. The focus of the separability analysis under the copyright statute is on the extracted two- and three-dimensional design and, according to the Court, one need not “imagine a fully functioning useful article without the artistic features.” Nor does it matter, the Court holds, that the artistic feature plays a role in the function of the useful article. All of the other glosses on conceptual separability that the various appeals courts had previously articulated are swept away. It does not matter that the artistic feature of the design would be marketable separately, so long as it can be imagined as existing. It doesn’t matter that it was conceived originally for the useful purpose to which it was put. Left for another day is whether the specific designs at issue are copyrightable. That will be the task of the trial court on remand. However, Justice Ginsberg notes in a footnote that the requisite creativity for copyright is extremely low. 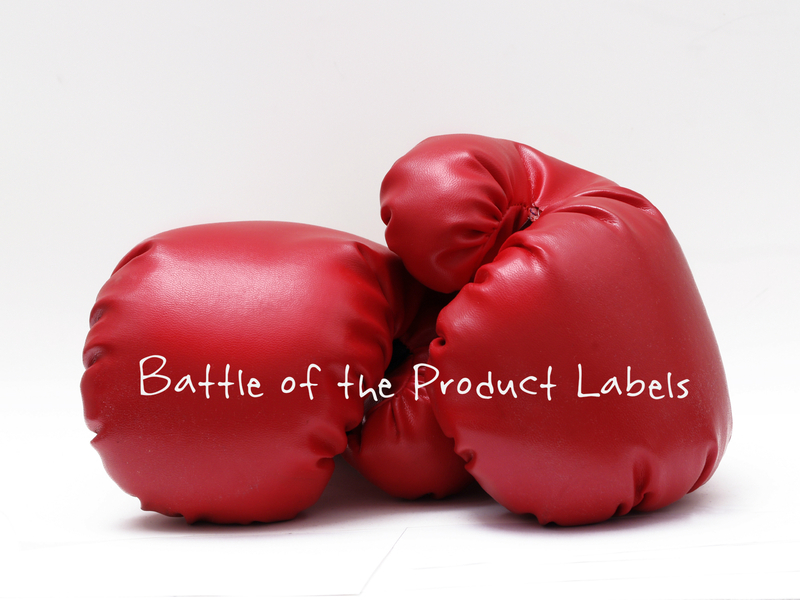 Do Product Labels Matter? Maybe. Posted: May 21, 2014 | Author: Fashion Industry Law Blog | Filed under: Cases, General / Musings, Textiles | Tags: apparel, Coca-Cola, false advertising, FDA, Federal Trade Commission, Food and Drug Administration, food labeling, FTC, Lanham Act, Minute Maid, Nutritional Labeling and Education Act, Pom Wonderful, Textile Fiber Products Identification Act, U.S. Supreme Court, unfair competition, Wool Products Labeling Act | Comments Off on Do Product Labels Matter? Maybe. Why is a can for Minute Maid juice like a coat? The answer: Because federal statutes and government regulations prescribe how each is labeled. In the case of juice, the label is prescribed by the U.S. Food and Drug Administration (FDA) regulations promulgated under the Nutritional Labeling and Education Act of 1990. In the case of the coat, as apparel manufacturers are all too aware, by the Federal Trade Commission (FTC) under either the venerable Wool Products Labeling Act of 1939 or the Textile Fiber Products Identification Act. The regulatory schemes share ostensibly the same goal: to assure a uniform national standard and to inform consumers of the content and the qualities of the goods. But what if prescribed rules do not further that purpose? That is a question posed by a case that the Supreme Court heard on April 21, 2014 Pom Wonderful LLC v. The Coca-Cola Company. Pom’s business revolves around marketing beverages featuring pomegranate juice. Coca-Cola, wishing to cash in on the craze for such beverages, introduced a Minute Maid juice it called “Pomegranate Blueberry.” Notwithstanding the name, pomegranate juice constituted only 0.3% of the contents, and blueberry only 0.2%. The 99.4% of the contents which consisted of apple and grape juice was uncredited in the product name and the graphics decorating the label. Pom sued, claiming that the name “Pomegranate Blueberry” constituted false advertising and unfair competition, as consumers would naturally infer that the product’s main ingredients were pomegranate and blueberry juices. Unfortunately for Pom (and, one might add, for consumers seeking the health benefits of pomegranates and blueberries), FDA regulations specifically permit naming a product for ingredients so minor that they could be described as no more than flavoring. So, now, the Supreme Court will decide whether a competitor can sue for false advertising and unfair competition when the contents of a label are authorized (or sometimes even required) by government regulations, no matter how misleading. In the language of the law, do the specific provisions of federal labeling law preempt federal and state laws that more broadly and generally protect consumers and competitors from deception as to the contents or quality of the goods? Should the Court find for Pom, attention will have to be given not only to technical compliance with legal requirements, but also to whether consumers are likely to be misled. One might think Coca-Cola has the better argument. After all, if your labels comply with federal regulations, you should not have to worry about what consumers think. If there is a problem, the fault lies with the government and its regulations. But that conclusion might be wrong. Some of the justices appeared to view the labels as very misleading. Others wondered whether the FDA considered anything other than health and safety in promulgating the regulations and questioned whether assuring that consumers are not misled was the responsibility of the FDA. Of course, that is the responsibility of the FTC and it is the purpose ostensibly served by the FTC labeling rules for textiles. But even under the FTC rules, you can name your line of sheets “Bamboo,” as long as that is just the name and the fine print on your label states that the fabric is rayon made from bamboo fibers. After all, this is consistent with a regulatory scheme that requires you to state the country of origin of a coat but not that of vitamins or toothpaste.